King Street is partially closed for repairs to the sewers. Businesses has sign to tell their customers they are still open. 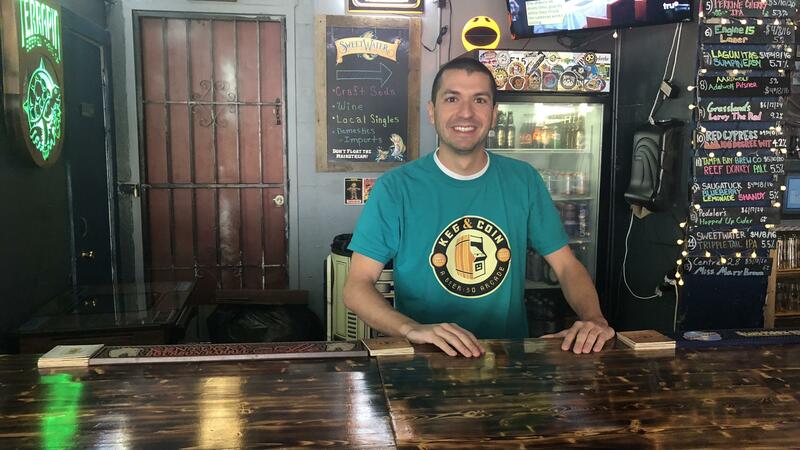 Ronni Penna runs the arcade bar Keg and Coin. 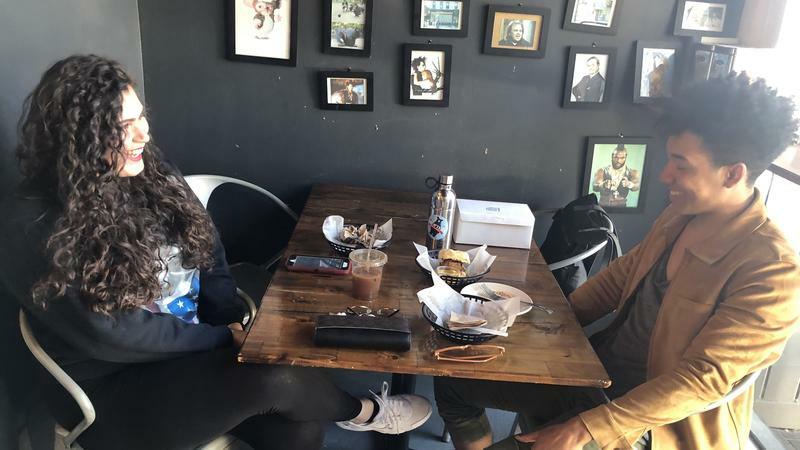 Cristal Benitez and Kyle Ruhn was not deterred by the closure. Riverside business owners were told construction will take two weeks. King Street is closed from Park Street to Lydia Street. 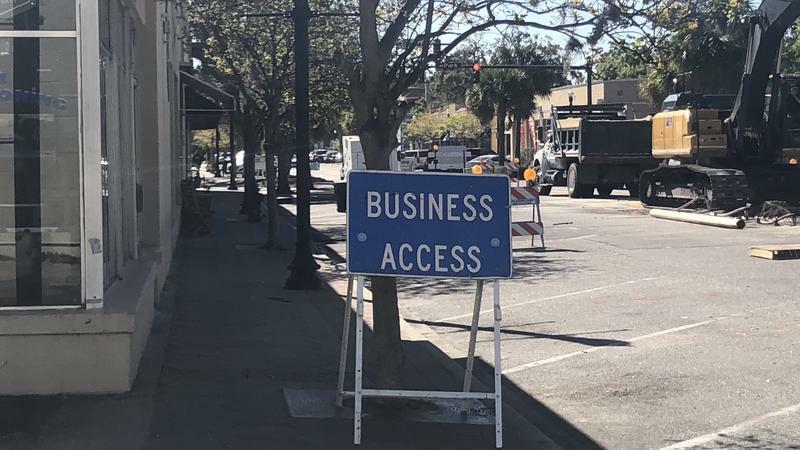 Business owners were told by JEA that the construction would last two weeks on Wednesday morning. 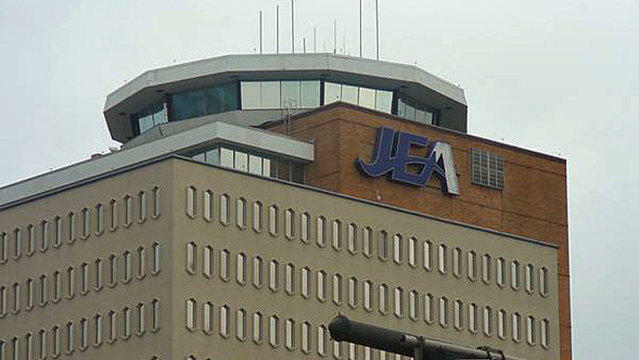 Before the closure, JEA came out earlier to take photos of the area then they started their work the Wednesday afternoon. 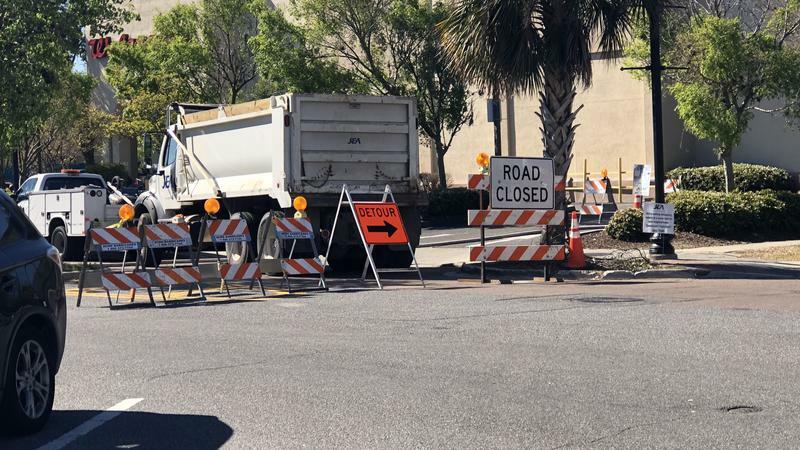 King Street is closed from Park Street to Lydia Street, just past the Walgreen’s parking lot, with warning signs alongside the construction area. Ronni Penna runs the arcade bar Keg and Coin, which is just three-months-old and already had a tricky parking situation. 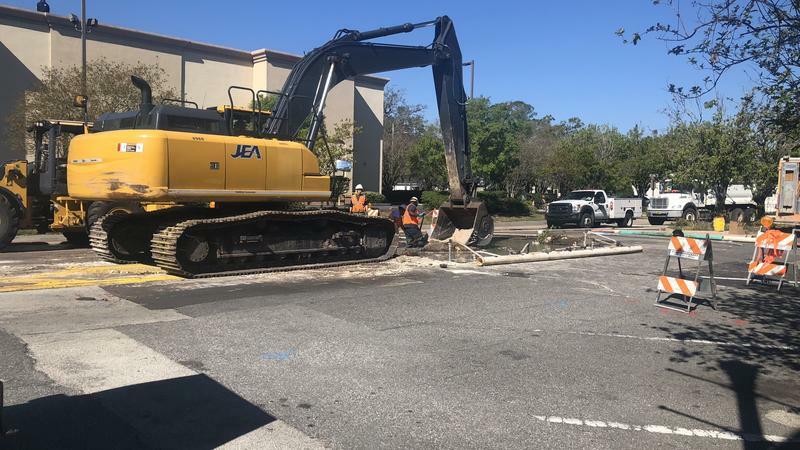 Business owners that WJCT News spoke with said they wished JEA had given them more advance notice to make arrangements. 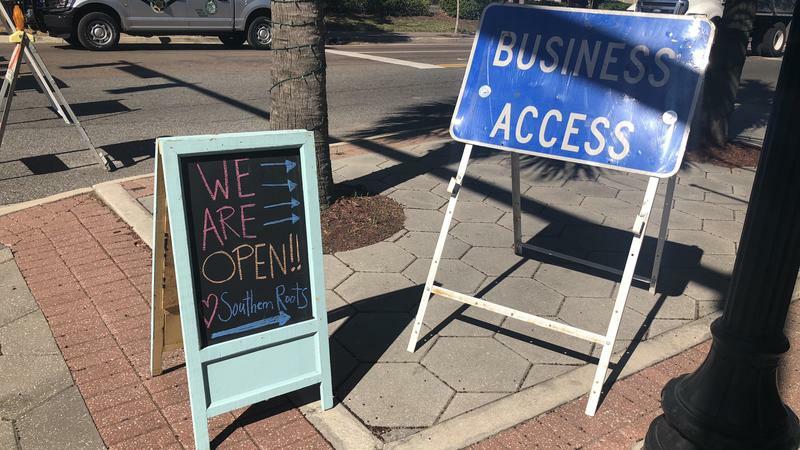 While the closure’s impact is still being determined, businesses on the other side of the detour sign, such as the Sweet Theory Baking Company, are still seeing an influx of customers. Kyle Ruhe, a regular at the bakery, said he was not greatly bothered by the street closure and decided to go a different route. “If it did, I still would have found my way down here. I wanted this donut this morning so that was going to happen. I would have walked if I had to,” Ruhe said. Fellow customer Cristal Benitez,who was invited by Ruhe, said she was also not deterred by the closure in her decision to come to the bakery. “So I found a new route. I just came also from the opposite direction and I was able to find parking pretty quickly,” Benitez said. 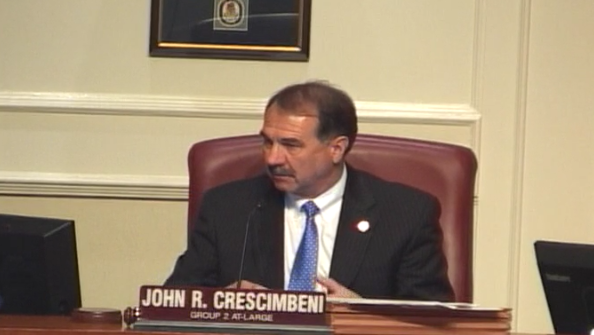 JEA’s income has dipped over the last decade, according to a presentation Thursday before a special City Council committee that’s considering selling the publicly-owned company.